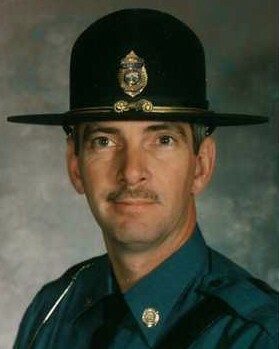 On today, the 3rd anniversary of your death I would just like to say thank you for your service and sacrifice for the citizens of the state of Kansas. And to your Family and loved ones, I wish to extend my deepest sympathy. I have many great memories working with Kent, I served as a training officer for him in 1994, worked with him as a partner and later was his supervisor for ten years. Kent was outstanding, dedicated and dependable. He also had a great sense of humor and loved to zing us with his wit. Rest in peace, you are not forgotten. RIP brother, its been several years already but feels like yesterday. Thank you for being a great friend and thank you for your loyal service to our communities. Thank you for your service to the KHP and the state of Kansas! Prayers for your family, friends, and co-workers. You are missed by them all! Great Trooper and great friend. He was great help to us on fire and EMS calls. Trooper Newport is missed in our local area but will not be forgotten! Sir, it has taken almost 1 1/2 years but you are finally being honored. I would just like to say thank you for your service and sacrifice for the citizens of the state of Kansas. And to your Family and loved ones, I wish to extend my deepest sympathy.